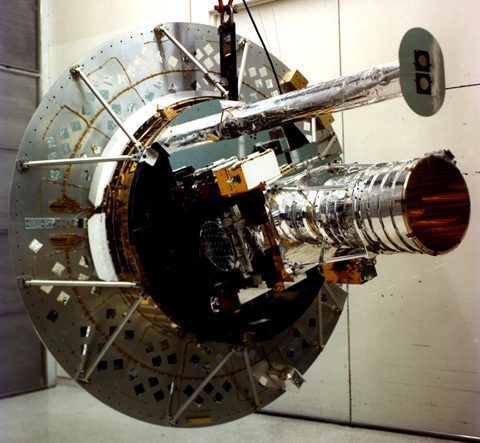 The purpose of the Solar Mesosphere Explorer mission was to investigate the processes that create and destroy ozone in the Earth’s mesosphere. The mesosphere is a layer of the atmosphere extending from the top of the stratosphere to an altitude of about 80 kilometers (50 miles). Over its seven and a half year mission, SME measured ultraviolet solar flux, ozone density, and the density of other molecules important to the understanding of ozone chemistry. During the mission, over one-hundred undergraduate and graduate students were involved in nearly every aspect of SME operations, including planning and scheduling spacecraft and science activities, controlling the spacecraft and its ground support system, and analyzing spacecraft subsystem performance. The SME mission was the only satellite control center located at a university and run by students at that time. The mission continued for seven and a half years; the satellite sent data to Earth until April 4, 1989 and reentered Earth’s atmosphere on March 5, 1991.